Everyone’s been there, lurching along in stop-and-go traffic, wondering what’s at the other end of a long line of tail lights. 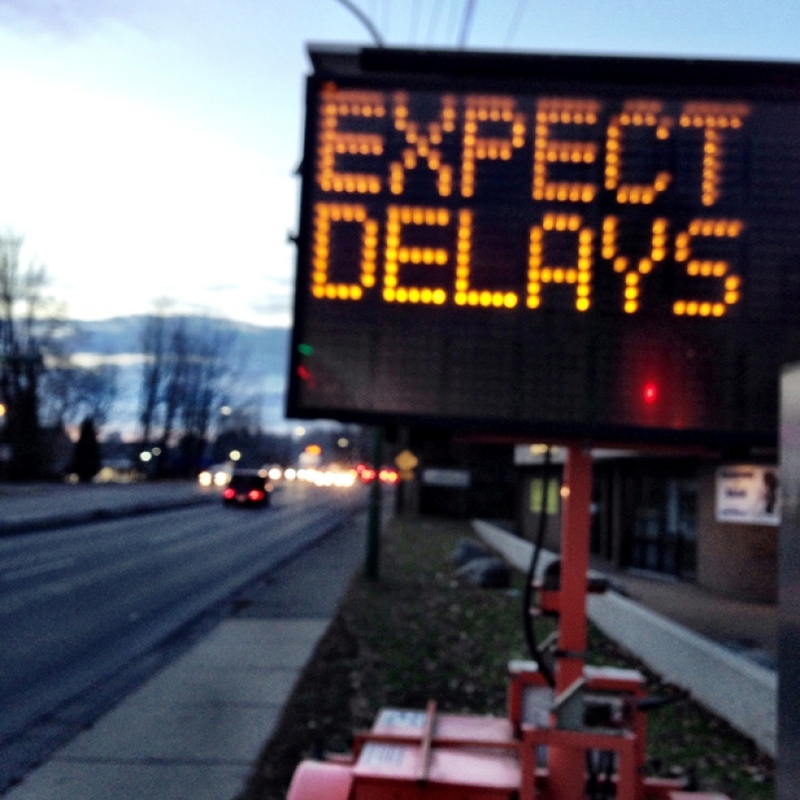 The province and the three North Shore municipalities will be deploying 16 digital message boards on major roads next week in hopes of warding off drivers from roads plagued by stalls and collisions. “The intention is to provide drivers with real-time incident updates. What we anticipate will happen is drivers will read these updates and then make decisions about the rest of their route,” said Bowinn Ma, North Vancouver-Lonsdale MLA. The signs will be managed by the ministry’s Regional Transportation Management Centre, which is already tasked with monitoring traffic cameras, dispatching tow trucks and controlling counter-flow lanes on the Lions Gate Bridge. The six-month pilot project is expected to cost $125,000, a third of which is being covered by the province. The remaining cost will be shared equally by the three municipalities. If it is successful, the project may be extended. The 16 signs will be situated along Highway 1 as well as on Capilano Road northbound, Lonsdale Avenue, Mountain Highway, Mount Seymour Parkway, Taylor Way, Marine Drive and 15th Street in West Vancouver, and Georgia Street downtown. Ma said the hope is that it will divert drivers from areas already caught in a traffic SNAFU as well as reduce the number of “secondary collisions” – the minor fender benders that happen amid traffic jams. “It’s all part of the efforts to manage incidents better on the North Shore. In and of itself, it’s not going to be the solution, but it’s part of the suite of solutions that we hope will reduce frustrations for drivers in the short term,” she said. The province awarded the contract for crash clearing to a new company in November, bringing with it higher standards for readiness, including having more tow trucks and larger tow vehicles capable of removing broken down buses and transport trucks on standby. Ma said the ministry has been collecting data on crash clearing speeds since the new contractor took over, but it is too soon to say whether there has been a quantifiable improvement. That data will likely be available in the spring Ma, said. The digital signs are to be switched on Feb. 15.